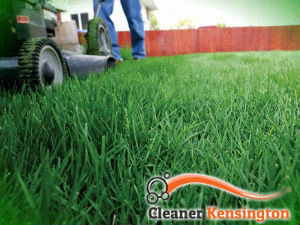 If you need help with the mowing of the lawn in your property rely on the gardeners in our company to do the work. They use high-grade equipment for cutting grass fields and can do other tasks which the customer needs. 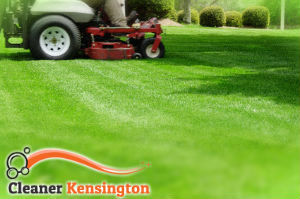 The grass cutting we carry out in Kensington is effective, professional and affordable. Our staff are trained to use lawn mowers and keep overgrown grass fields properly cut and shaped. You will be pleased with the results of their work and have more free time at your disposal. Use our top-quality grass cutting services which we offer in the W8 area seven days per week to get the best possible results. We can assure you that you will be satisfied with the work of our gardeners. They can provide weekly, fortnightly and several times in the month mowing, additional services like mulching, aerating, fertilise and turfing. Our gardeners can spray your lawn to reduce the growing of weeds in it. They remove the created cuttings and wastes from the yard after completing work. We can help you with the upkeep of your garden and lawn doing the necessary work as often as you please. Get your outdoor areas properly kept, shaped and refreshed using our effective grass cutting services. We can make your property look better and you will have less gardening work. Schedule the inspection of your lawn and you get a free quote including all gardening services you need at present. We offer excellent grass cutting in Kensington, W8 which will maintain your outdoor areas neatly shaped and looking good. Contact our call centre, online chat or use our booking form to get more information and order the services you need. You will receive professional work at a reasonable price and suitable time.